Enrichment is the successful component in a child's education. Programs both inside and outside the classroom provide rich educational opportunities and help make learning fun. 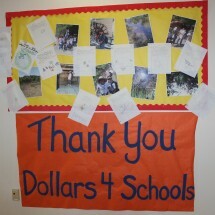 After School Programs in our schools help to support the needs of our Santa Fe families. With programs ranging from the arts to history to technology, and everything in between, these programs help with a child's curiosity, discovery and ultimately help foster a love of learning. The Arts have a direct impact on a child's education! 57% of children in the Santa Fe Public Schools graduate. The Arts promote creativity, learning and motivate children to a standard of excellence with gains in math, reading, critical thinking and intelligence. Students who participate in the arts are 4 times more likely to be recognized for academic achievement and 3 times more likely to be awarded for school attendance.